I’ve heard this statement numerous times over the last few months. It’s why we’re making a greater effort to remind you of the products, services and discounts that you get as an AUSA member. We’ve given quite a bit of coverage to your hotel and car rental discounts so this month we’ll focus on some other great products. Through a relationship with Starkey Hearing Technologies, the only major American-owned and operated hearing aid manufacturer, AUSA members are entitled to special discounts. The American Hearing Benefits (AHB) program provides you and your family access to free hearing consultations and discounts on hearing aids through AHB’s nationwide network of 3,000+ hearing professionals. Call (888) 982-4656 or visit http://www.americanhearingbenefits.com/partners/AUSA to learn more and to schedule your free hearing consultation. *Professional service fees may apply. Did you know that 52 percent of combat soldiers have moderately severe hearing loss or worse? For our veterans, you likely have access to audiology services through the VA so rather than the link above, contact your local VA facility at https://www.va.gov/directory/guide/home.asp . Starkey also has a veterans hearing loss site at https://www.starkey.com/hearing-aids-for-veterans/products. Military Kids’ Life is a quarterly print magazine for military kids, and it encourages kids to find the bright side of their military life – Army, Navy, Air Force, Coast Guard and Marine Corps, Active, National Guard, Reserve. Military Kids’ Life will help your kids find their adventure. Visit www.ausa.org/kids for special AUSA member pricing of $14.21 per year. AUSA members receive special pricing on these publications. Visit www.ausa.org/times for information and to subscribe. Some simply call it a handbag. They call it a mission. What began as two military spouses in a small attic, armed with a big idea, one sewing machine and a little bit of canvas, has grown into a bold, achievable mission shared by many: to inspire, engage and empower. The R.Riveter movement captures the humble and courageous spirit of Rosie the Riveter and channels it into every American handmade purse and handbag they produce. Co-founders Lisa Bradley and Cameron Cruse’s story begins in Dahlonega, Ga. – home of the Appalachian Trail, moonshine, and the 5th Ranger Training Battalion. Lisa and Cameron, both military spouses, met in this cozy little town, a unique assignment for most soldiers and their families. Cameron and Lisa bonded over a shared frustration of employment struggles as military spouses. They were united on a mission to find flexible, mobile income for military spouses across the country. In a small attic above Cameron’s home, they founded R.Riveter. They knew it wasn’t enough to call their products American made. From the hand-stitched liners to the hand-cut leather, every part and piece that goes into an R.Riveter handbag is crafted with thoughtful, genuine purpose. Most importantly, those hands are spouses of America’s military. Less than a year after the company was born, Lisa and her husband moved to New York, and R. Riveter’s mission to provide mobile employment to military spouses was put to the test. Two short years later, Cameron and her family moved to North Carolina. 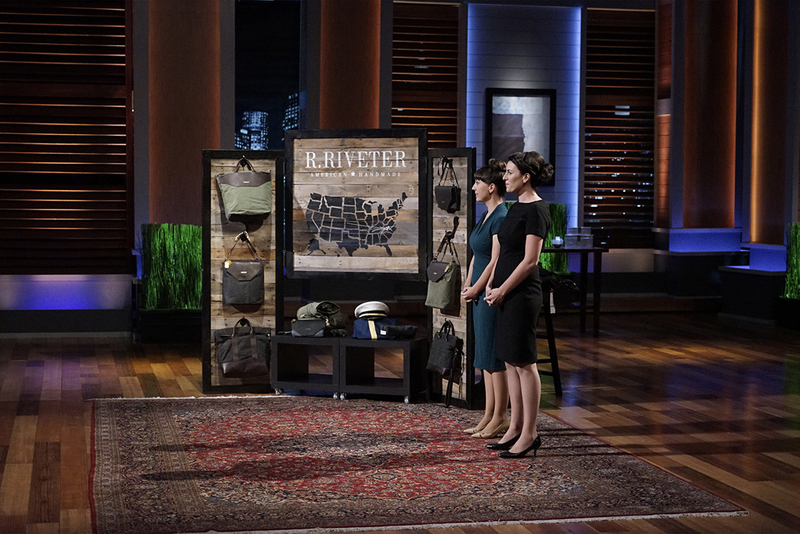 In February 2016, Cameron and Lisa dove headfirst into the Shark Tank, sharing their mission to employ military spouses across the country with the show’s investors. They walked away with a deal of partnership and investment from Mark Cuban. R.Riveter has remote riveters from across the country send parts and pieces to their warehouse where bags are put together and sent to their new homes. They later launched Post to Pillar, a curated marketplace of home decor and accessories, handcrafted by military spouse makers and artisans. They currently have 30 local employees and 27 Remote Riveters on their team. Check out R.Riveter’s American-crafted products at www.rriveter.com and take 15 percent off with code AUSA15. Susan Rubel is AUSA's Director of Affinity Programs, responsible for AUSA Member Benefits.